I’m one of those people that likes to wait until after Thanksgiving to start the Christmas countdown. But with the Christmas creep, we’re barely over Halloween when the retail industry has us feeling the sudden urge to start prepping and shopping for Christmas. But, wait! Don’t start shopping just yet. 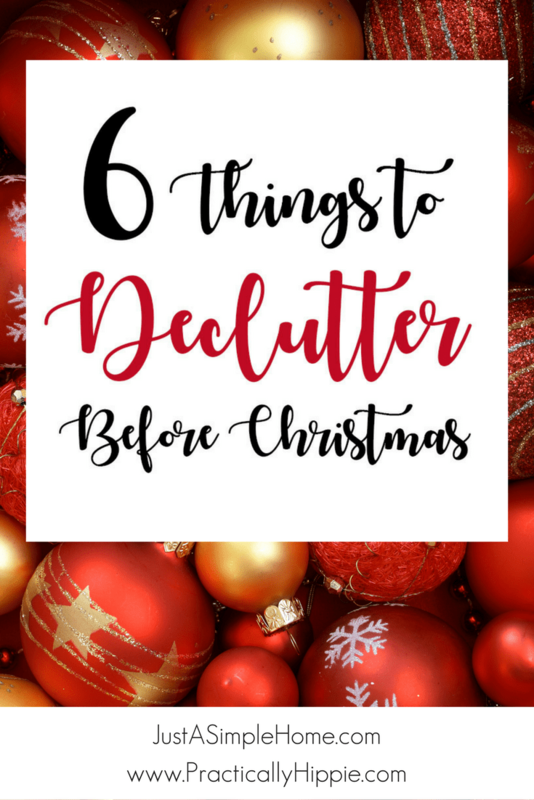 Christmas is the perfect excuse to declutter. Out with the old, in with the new. This one is a no-brainer. Before bringing more toys into your home at Christmas, now is the time to declutter the ones you already have. Start by tossing broken toys and sorting out any toys that your kids have outgrown. Pare down electronic toys and duplicate toys, and make sure the ones you keep mesh with your family’s goals. Be sure to take your physical space into consideration. You’ll need space to comfortably store the toys you decide to keep with a little room leftover for new toys at Christmas. ’Tis the season for a million photos! The holidays are filled with so many fun and wonderful activities. And most of us moms will be ready to capture all of the adorable moments on camera. Start by gathering all of your photos. Get those pictures off of memory cards, download them from your phone, and get them all into one spot on your computer. Once you have them on your computer, delete them from your other devices. It’s a big task, but go through your photos and decide which ones are keepers. Weed out blurry photos or photos that are very similar. If you have 150 photos from your first camping trip, go through them all to find the best of the best. Organize photos into folders with a system that works for you. Christmas brings an influx of gifts into our home, and not all of them are something we end up using. Maybe there’s a candle you never used or a Christmas decoration that’s not your style. It could be a necklace you haven’t worn since you got it last year or a toy from Grandma that your child rarely plays with. Take inventory of these gifts and consider putting them to use. If you can’t use something personally, perhaps a friend would love it. Or you might have something perfect for a white elephant gift exchange. If you can’t make use of something, it’s OK to let these things go. If you graciously received the gift, that’s what matters. You aren’t doing the gift-giver any favors by letting guilt clutter up your life. The festive holiday atmosphere often starts in the kitchen. There’s turkey, cookies, fruitcake, and more which means your kitchen is probably working overtime right up until Christmas. This is a great time to go through your kitchen gear and ditch any items that aren’t functional or necessary. Problems areas might include plastic storage containers, kids dinnerware, or coffee mugs. These types of items have a tendency to multiply throughout the year. While you’re in the kitchen, take a pass at your pantry items as well. Ditch any expired foods, and make a note to use up items you already have in your meal planning. The holidays bring a lot of paper into our home. Junk mail. Coupons. Greeting cards. Kids’ crafts. Bills. This is the best time to wrangle the paper clutter for a fresh start at the new year. Gather all of your paper items into one area. Sort the paper into three categories: Recycle, To File, and Needs Action. With your recycle pile gone, you should be left with a manageable amount of paper. Use hanging file folders or a binder to store your “To File” papers. Give yourself a deadline to handle the items that need action, and make a plan to address these items every week. Empty out your junk drawer and sort out the contents. Find a home for everything in it, and toss the rest. It might seem far-fetched, but the best way to organize a junk drawer is to get rid of it. Clutter breeds clutter, and this is one area you don’t want to mess around with over the holidays. when you’re already extra-busy and trying to spend time with family. 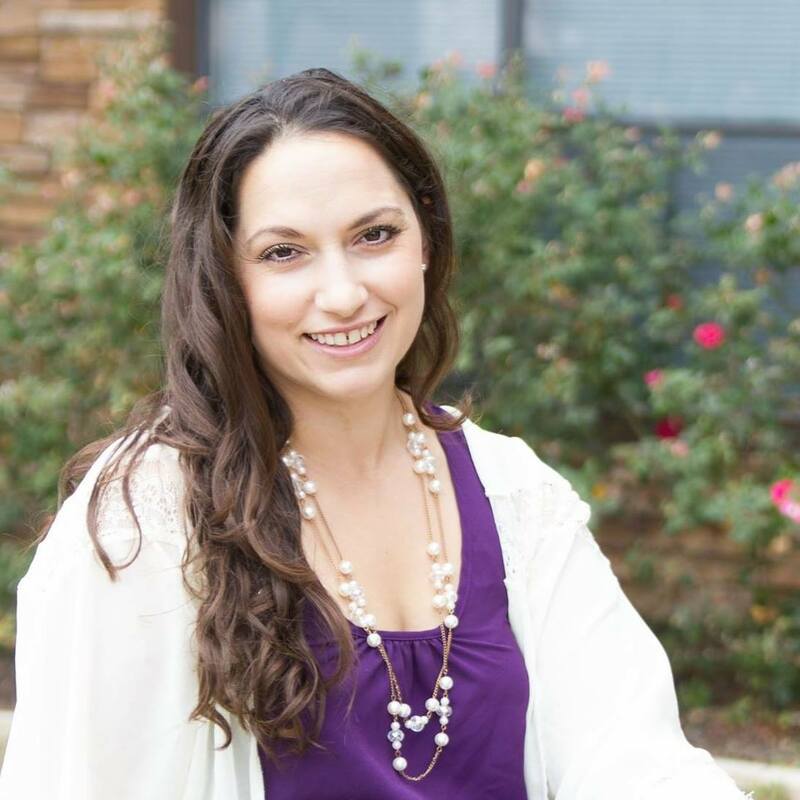 Meghann is a writer, blogger and proud lefty who enjoys living the simple life of a homeschool family on 6.5 acres in South Texas with three children, a dog, a cat and a soon-to-be-added flock of chickens. She has spent the last three years decluttering and downsizing and now helps families find joy by making the most of doing less. Find more from Meghann at Practically Hippie.